A huge thank you to everyone who joined in with our Kickstarter! We did it! We hit our target and raised all of the money, more infact! So I am very excited to get on with work at the new place and welcome you there as soon as we can! We have a planning application in and the builders will be starting soon, I will keep you up to date as it progresses. The cake is my take on a bakewell, all the flavours, but in a simple cake. The pickled cherries are a slight twist on a Diana Henry recipe, they go very well with a plate of cheese and are also good with things like chicken liver pate, terrines and cured meats. Enjoy cherry season while it lasts! 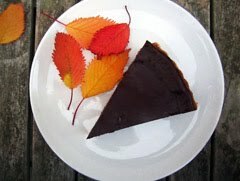 First a simple but delicious cake recipe! Heat the oven to 160˚C. Then melt 150g of butter in a pan, once melted set it aside to cool slightly. Combine 225g of self raising flour, 225g of caster sugar and a teaspoon of baking powder in a bowl. Then beat 2 eggs and 1/4 teaspoon of almond essence together in another small bowl. Prepare the cherries, for this I used 2 handfuls cut in half and de-stoned. Line a regular cake tin with greaseproof paper, I cut mine into a circle and tuck it in rather than faffing on with different pieces, it also makes it easy to lift out at the end. Finally combine the flour mix, butter and egg mix. Bring it together with a spatula, it is quite a thick batter like mix when it's done, mix it until it is smooth. Then add 3/4 of the mix to the cake tin and spread it out. You will think it seems like not very much but don't worry. Then lay the cherries over the mix in an even layer. Add the final 1/4 of the mix to the centre of the cake on top of the rhubarb. 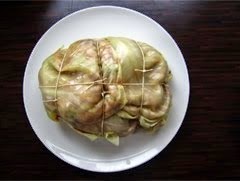 Quickly pop it in the oven and bake for 50 minutes. Leave the cherries stone in and stalk on, this avoids a lot of faffing about but also makes them easy to eat and pretty I think, you need about 500g. Then heat 350ml of white wine vinegar with 400g of caster sugar, 4 cloves, a cinnamon stick, a pinch of chilli flakes, 10 black peppercorns; stir so the sugar doesn't stick to the bottom. Bring to the boil and then add the cherries for 2 minutes. Scoop them out into a 1 litre sterilised jar. Then continue to boil the liquid until it is a bit more syrupy, just for 5 minutes or so, then pour over the cherries. They should sit for a week or so before you eat them and will still be good after a year, getting more and more wrinkly and intense. 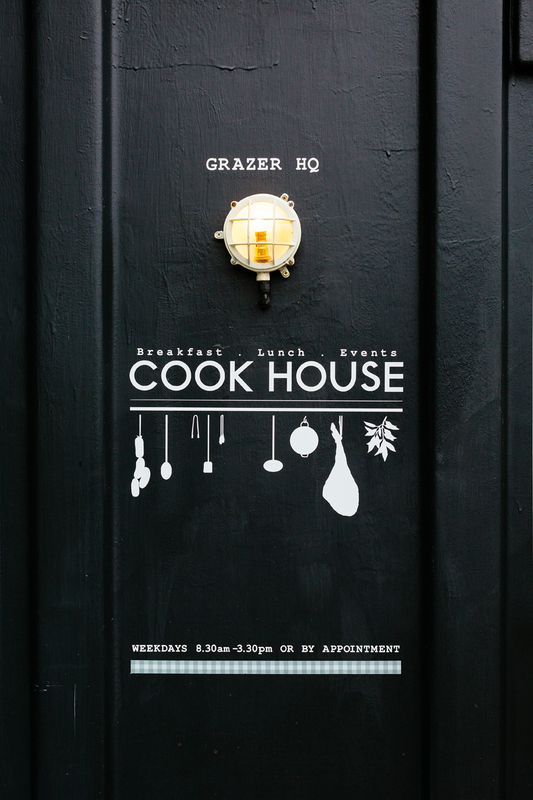 Cook House is moving! And we need your help! 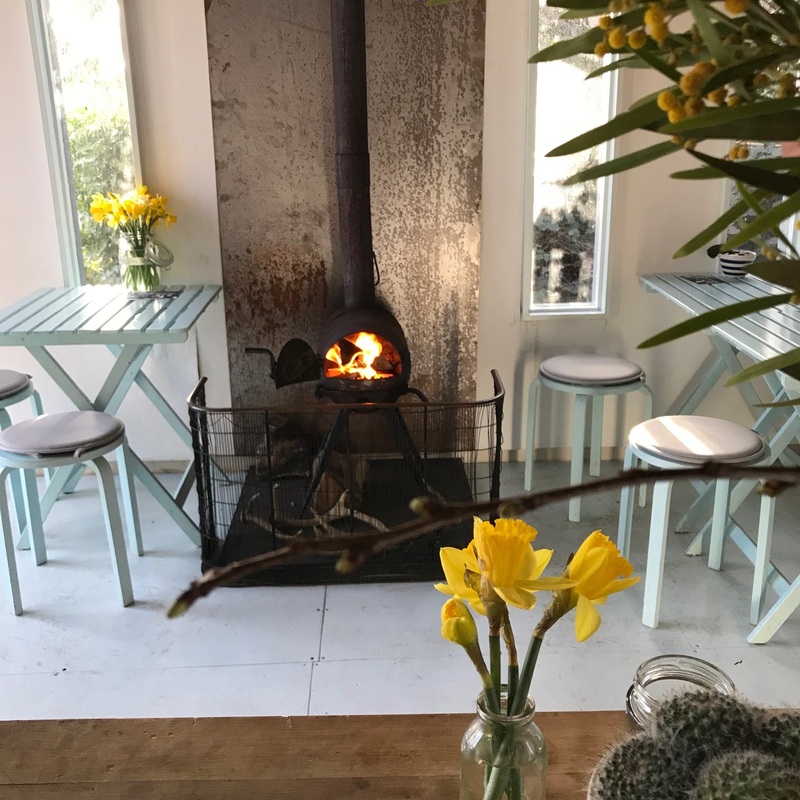 Cook House has been open for 3 and a half years and the place has gone from strength to strength, winning awards and gaining national recognition. We found out last year that our street was going to be redeveloped so have been looking for our next home ever since. 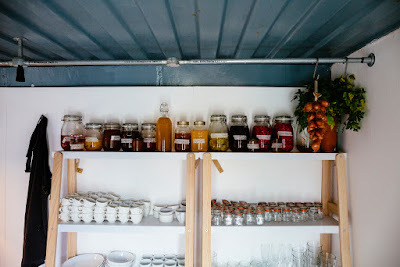 Cook House is tiny and unique, housed in two black shipping containers, with small gardens front and back, a wood burner and a lovely atmosphere. It's important to us that the next place keeps the feel and ethos of what we have created, but at the same time allows us to grow. We have raised half of the money we need to set up our new home, and we are launching a crowd funding project for one month to raise the other half. CLICK HERE TO VISIT OUR KICKSTARTER PAGE & WATCH OUR BRILLIANT FILM! We have found the perfect spot right in the heart of the beautiful Ouseburn. It is full circle for me as it is taking on the building where I used to work as an architect before I entered the world of food! An unusual building with loads of space and potential. The expansion is really exciting as we as we are looking to add many new aspects to what we already do. We will have our own grocery store, where you can buy many of the amazing local produce we use in the kitchen, cheese, vegetables, milk, eggs, local meats will all be on offer, as well as a range of our own Cook House products. 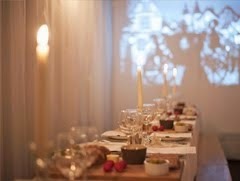 We will have loads more space so will be able to offer coffee, breakfast, brunch, lunch... and dinner! Which is very exciting! We will be fully licenced and will still host supperclubs and interesting food events in line with what we have developed over the past few years, also introducing more food demonstrations, chef collaborations and classes. There will be a beautiful herb gardens with outdoor seating and room for a bbq and an ice cream cart in summer. Inside on the lower level we will house our shop, a space for cookery classes and a casual cafe and bar area. Upstairs will be home to our light, bright kitchen and dining room and an amazing outdoor dining terrace. You can sit out on our terrace right at the centre of the Ouseburn, in amongst our plants and strings of lights looking out at the dramatic buildings and bridges of the valley. We're going to introduce a bit of fire cooking up here as well! It is quite a big new project. We have raised half of the money ourselves but still need to raise £28,000. Things don't come cheap these days and we are keen to move beyond using second hand kitchen equipment out of my parents garage! It has been a great 3 years at our current site. 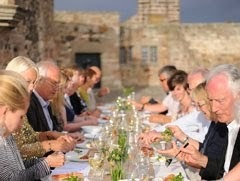 We have fed an awful lot of people, we've travelled the region hosting dinners in beautiful locations. We have gained a loyal following of lovely customers who we hope will be really excited about this next step. We appeared on the Radio 4 Food Programme last year, and on Channel 4's 'Hidden Restaurants' series, cooking and filming with Michel Roux Junior at Cook House, this was an unbelievable boost to business. We were named as one of the Top 25 New Entries in the 2017 Good Food Guide and one of the Top 25 Coolest Restaurants by The Times in 2016, Top 5 Restaurants in Britain by Olive Magazine in 2015 and one of the Ten Best Budget Eats in Newcastle by The Guardian. We recently won an Observer Food Monthly Award for Best Cheap Eats in the North 2017 and re-entered the Good Food Guide for 2018. We very much hope to continue and build upon this success in our new home. 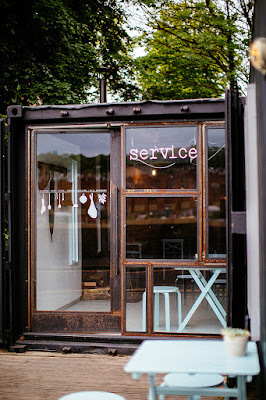 I hope this new home for us, will not only be one of the most unique and brilliant spots within the Ouseburn, it will be also that within the whole of the city. 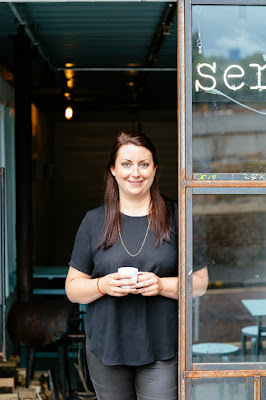 The concept of coffee, breakfast, brunch, lunch, dinner, drinks, classes, demonstrations and shop, all combined in a unique and interesting building with outdoor gardens and terraces is one I would be pretty keen on hanging out at. All adding to the rich and talented independent food scene in Newcastle, that I'm very proud to be part of. I'm going to publish a cookery book!! I am very excited to announce that my first book will be published next year! I have been keeping it under my hat for far too long! ‘COOK HOUSE’ will be a collection of recipes and the story of following my passion for food, published with the brilliant Head of Zeus in September 2019. I have been working on my proposal since last summer, with the help of my agent Daisy at Lutyens and Rubinstein. The proposal described the concept of the book, which is a recipe book, but also the story of Cook House, of leaving one career to follow a true passion, I hope it will inspire other people to do the same, or at least dream. It also included a full recipe list and examples of my writing, example chapters and other little snippets I would like to include in the book, it was pretty lengthy by the end. We sent it out to a list of chosen publishers in February and then waited nervously. I was delighted when Head of Zeus made an approach to buy the rights. I went down to meet the team in London a few weeks ago and am really looking forward to working with them. I will be working hard to put the whole thing together by the end of the year, you can follow the journey on social media and here on The Grazer. I can't wait to hold my own book, it is hugely exciting. It is so surreal to think I will be able to go into Waterstone's and pick it up, with my name on it. I still can't quite believe it! We really felt this winter at Cook House. I lost track of how many times they tried to fix the roof, each time it seemed to have stopped leaking there would be another big freeze, a thaw, a shift, and subsequently a new leak. From November to February there was an issue almost every day and I shed some frustrated tears on occasion. Then the snow storms came, and there were no leaks as we were enveloped in a layer of snow and ice inside and out, totally frozen solid. I can talk about it now that the other side is in sight, now that the daffodils are coming out and the sticks of rhubarb are beginning to appear at the allotment. 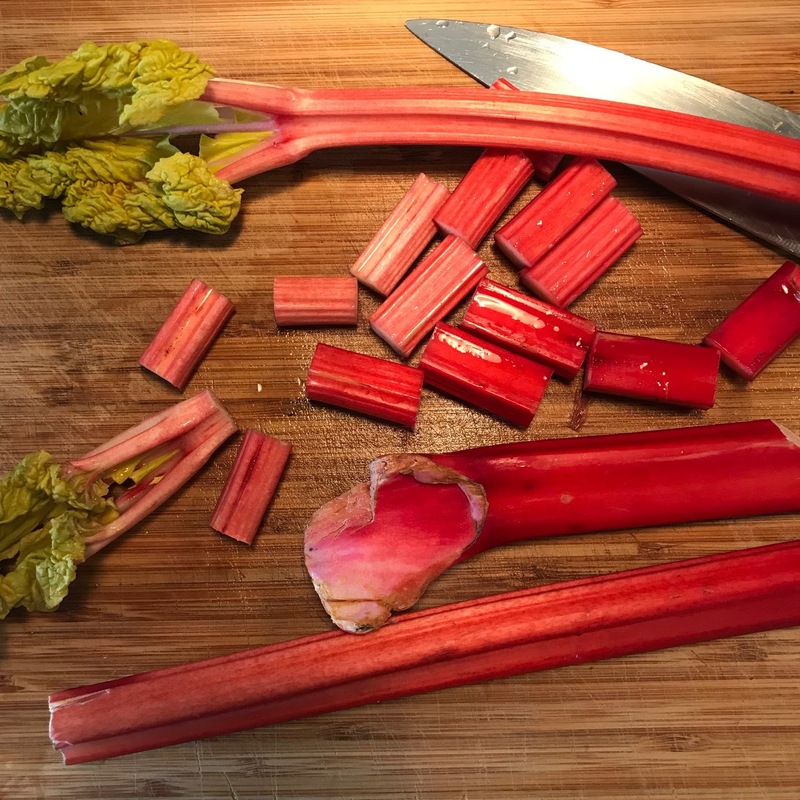 People often ask me what to do with lots of rhubarb, it is a common allotment affliction, I only have a small plant and it produces more than enough for all my rhubarb requirements. Pickling is one of the answers I think; this pickle is really pretty damn good. It's lovely on it's own, great with cheese, rich liver pate or on top of a salad, and its super easy to make. 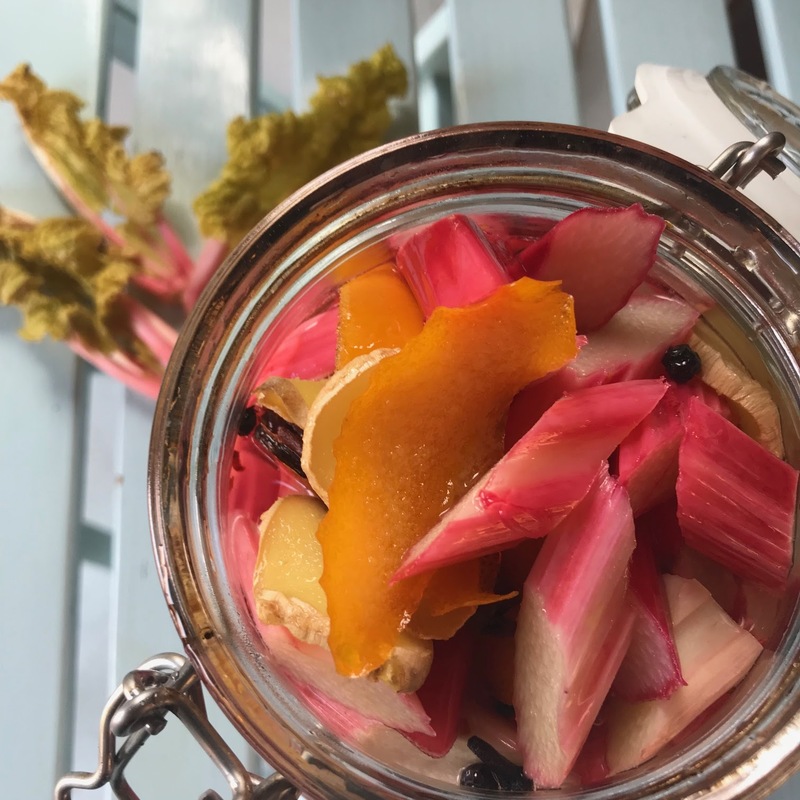 Fill a large, sterilised, 2 litre kilner jar with rhubarb cut down into 1- 2cm diagonal batons. 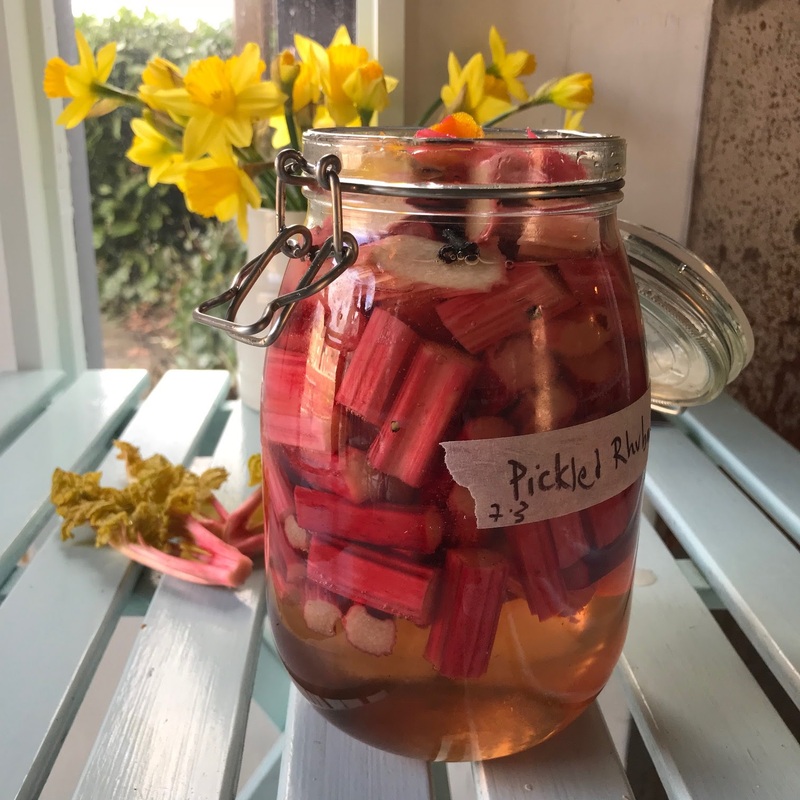 I have seen recipes that ask you to put the rhubarb into the hot pickling liquid, but I find this generally makes it fall apart, so prefer to add the hot pickling liquid to it, as it softens, but keeps its shape. This is now a staple item on the Cook House menu. The whipped feta is a good vehicle for any number of toppings, salty cheese whipped up with thick creamy yoghurt and bitter good quality olive oil. It works well with fruit or slow cooked veg, the salty bitterness of the cheese and oil balancing well with sweetness in the toppings. I've had it on and off the menu in a huge number or different guises; Grilled peach and mint, fresh pear and rocket, blood orange and toasted walnuts, pickled grapes and mint, roast tomatoes and lovage, roast red peppers with rosemary... But this was one of the first variations I came up with and is still a favourite. Crumble 200g of feta into a bowl and add 50g of good quality, live, full fat yoghurt and 25g of extra virgin olive oil, either put it into a stand mixer and whisk on high for 5 minutes, or use a hand whisk to do the same. There will still be some tiny lumps of feta, but in general the mix should become lighter, smoother and more aerated. Now chill for an hour or so before using and it will set a bit and retain the air. 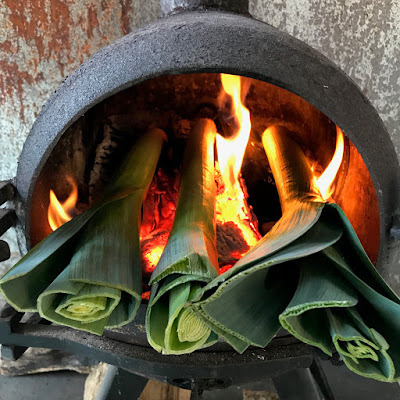 Shove a couple of large leeks into the flames of your fire, so the whole of the white end and most of the green is engulfed by heat and flame, leaving the leafy end poking out so you can get hold of it to turn. 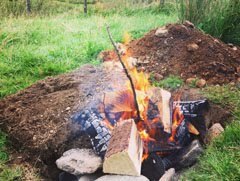 You can do this in a woodburner, an open fire or if you're having a bbq shove them into the coals. 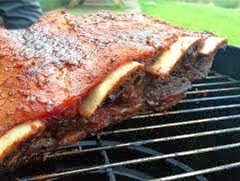 They will take about 15 minutes, turning occasionally; the whole of the outside with go black and charred. You will know that they are done as when you pick them up, using long heat proof tongs, they will collapse and bend as the inside is cooked and super soft, juices sizzling into the fire. Take them out and put them into a baking tray and cover with cling film, leave them to cool so you can handle them, this also allows the smoky flavours to sink in. When they are cool enough to handle remove the black outer layers, it's a messy job... You will be left with the soft cooked inner part of the leek that is lightly smoked and sweet in flavour. Shred this all up into a tangle and dress with a little olive oil and salt, it doesn't matter of you get the odd black bit here and there, I think its unavoidable really. To assemble, toast some nice sour dough, spread with the feta mix, a good centimetre thick, then top with a tangled pile of smoked leeks and a scatter of toasted black sesame seeds. It's delicious; salty, smoky, sweet and nutty, a really good balance. Happy New Year! 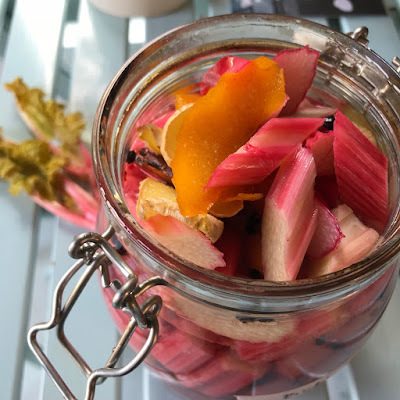 Gut health isn't exactly a glamorous subject but one that has hugely interested me since reading Cooked by Michel Pollen and more recently since meeting Professor Tim Spector at the School of Artisan Food. He gave a fascinating hour long talk about understanding the microbes in our own gut, keeping them well looked after and in turn improving our health, weight and mental well being. The gut is the largest organ in our body and keeping the microbes it contains alive and flourishing affects all aspects of our well being. It helps us digest things easily, controls calories absorbed, provides vitamins and keeps our immune systems strong. Modern diets that are full of processed supermarket ready meals, factory farmed meat full of antibiotics and fatty fast foods is destroying our gut health and preventing us from feeling fit and protecting ourselves against illness and diseases. 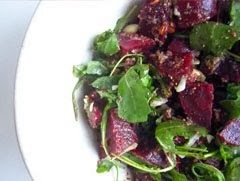 I've learnt that a diverse range of real foods, cooked yourself; and especially live foods are all things our gut loves. 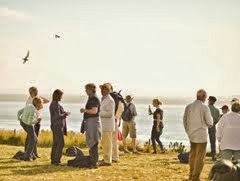 It's all good really as live foods covers wine and cheese; as well as live yoghurts, fermented foods such as kimchi, pickled fruit and vegetables, olives, miso soup, aged cheeses, live beer, sauerkraut, keffir and kombucha. These things used to be much more prevalent in people's diets when fridges were none existent or a luxury, as people were frequently preserving fruit, veg, milk, grapes etc as a regular part of life. This led to my interest in keffir, which is a fermented milky yoghurt drink, and also kombucha which is a fermented sweet tea drink that tastes a bit like apple juice. I would highly recommend giving either a go at home if you are interested, we have both on the go, and also recently added a big vat of kimchi to our fermented house pals. Small bottles of keffir or kombucha are pretty expensive in the shops, but you can produce litres at home for pence. Kombucha is such a tasty, refreshing, beneficial drink. 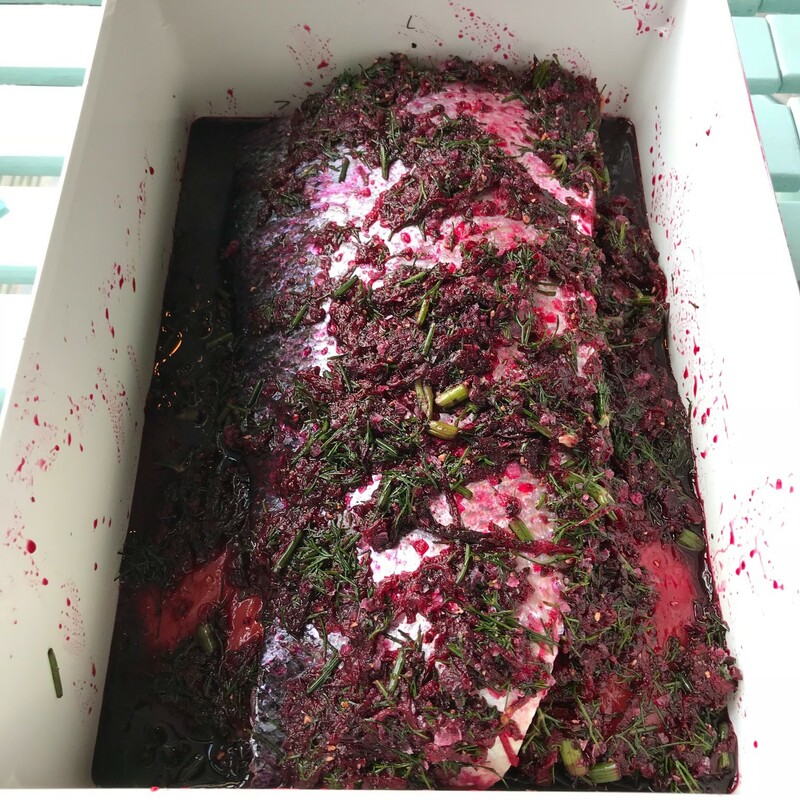 I've also been looking at using it in our menus; whilst in London I had a salad of kombucha plums, beetroot and goats curd at Brunswick House. It was totally delicious. Simply by adding fruit to your kombucha for a week, you can flavour the drink and also get tangy delicious fruit to use in salads or puddings as you wish. This Kombucha tea recipe is pretty simple. I ordered my 'scoby' online, this is the live element which looks a bit like the contents of a petri dish, it's a bit weird! It was in a pouch with a little bit of kombucha liquid, already fermented, which gets your batch going. You simply brew a big batch of strong sugary tea, I used 2 litres of water, 7 tea bags and 170g of caster sugar. I've been using breakfast tea but am going to try out other types next, green and early grey I think. Leave the tea to brew for 30 minutes then remove the tea bags. Kombucha doesn't like metal, so you now need to transfer the tea to something glass preferably, and stir with a plastic spoon if you need to. Once the tea is cold, combine the scoby and the tea in a big glass jar and then leave it to ferment, I cover the top of mine with some kitchen roll and an elastic band so it can get some air. It is ready when it no longer tastes of tea, the fermentation process feeds on the sugar so it is no longer sweet, almost like a tart apple juice, slightly cider like taste. Strain off the kombucha leaving behind the scoby and a cup of kombucha, then start the process again, brewing a new batch of tea. At this stage you can flavour the kombucha you have removed. I like it as it comes, but you can add fruit, apples, oranges, plums, pears, ginger, herbs... for a week, the strain again and drink. You can use the fruit in salads or puddings too. My first batch took a month to ferment, but has since sped up to a couple of weeks as the scoby has settled in and grown a bit. It's a strange yet fascinating process! Feel free to get in touch with any tips or questions! I love it, I'm also drinking as much as possible of it and my keffir at the moment, everyone around me has flu and I'm determined not to succumb. I'm armed with fermented fluids and a big bag of clementines! I'm just back from an intense eating schedule in London. A wedding invitation that wasn't even in London but took us quite far south was excuse enough. I mark little stars on my maps of everywhere I'd like to eat around the world, with London being particularly heavily populated. The trouble is trying to narrow it down when we actually visit anywhere. I have the fear of getting it wrong, I only trust a few people to recommend and even then I don't always agree, I'm not fussy, I'm just always in search of the perfect meal! We took in Kiln, a lovely wedding, St John (my all time favourite) A Wong, Brunswick House, Noble Rot, Pop Brixton and Black Axe Mangal... all in the name of research you understand, I took a lot of ideas home. I won't be adding up the receipts. 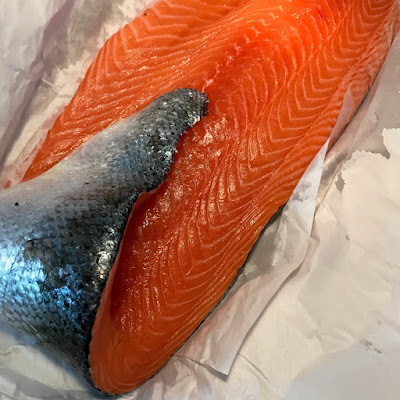 I have been getting my salmon from the Grainger Market at Lindsey's recently; they get it from Wester Ross, a salmon farm in the sea lochs of North West Scotland. Salmon farming is a contentious subject and one that I have read frankly disgusting things about, I wouldn't buy salmon from the supermarket anymore, nor meat to be honest. So apart from eating wild salmon that isn't always available, I have been looking for sources and information that I trust. This is an independent operation that uses no antibiotics or chemicals, rears their fish by hand and gives them space and clear water to grow in without growth promoters or supplements. 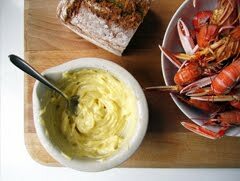 This works best with a big piece of fish, preferably a whole side, which will set you back about £35. I'm thinking Christmas here, as once cured it keeps well in the fridge and you can cut slivers off as required for canapés, starters and unexpected guests at any time. Check over the salmon gently with your fingers and remove any bones with a pair of tweezers, then cut your piece of fish into equal length halves. In a large bowl combine 300g caster sugar, 300g maldon sea salt, 15g black peppercorns crushed in a pestle and mortar, a roughly chopped bunch of dill and 2 peeled then grated beetroots. Give everything a good mix. You will need a container that the salmon fits quite snugly in, I use a tupperware. 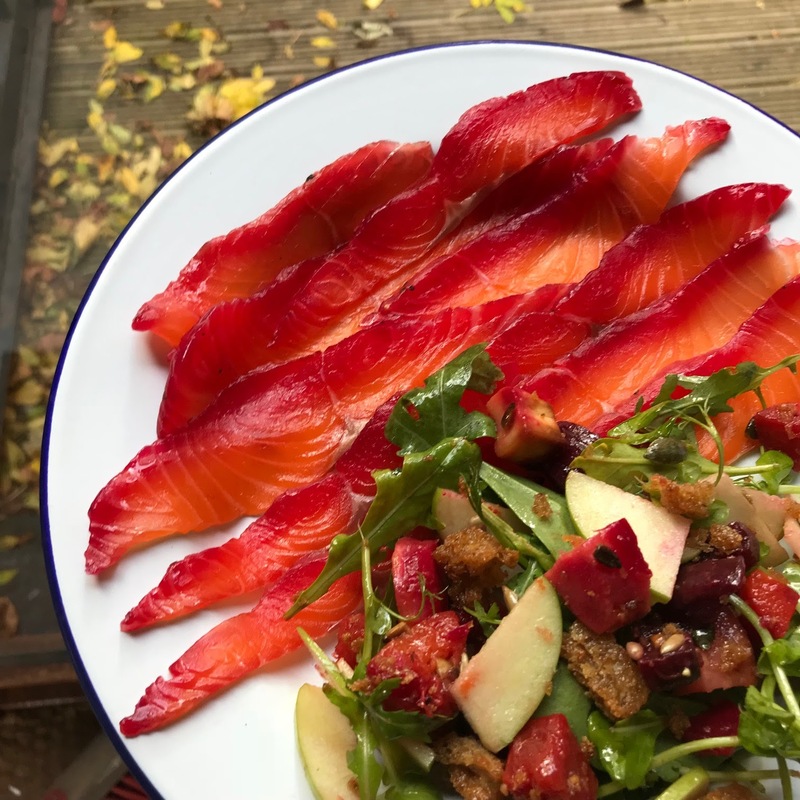 Add about a quarter of the mix to the base, then one piece of salmon skin side down, then add about two thirds of the remaining mix and spread it over the salmon, add the next piece of salmon, skin side up, like a sandwich, then top with the remaining mix. Then you need to weigh it down, I usually slot in another tupperware and fill it with tins, or use a plate with something heavy on top... Then pop in the fridge. 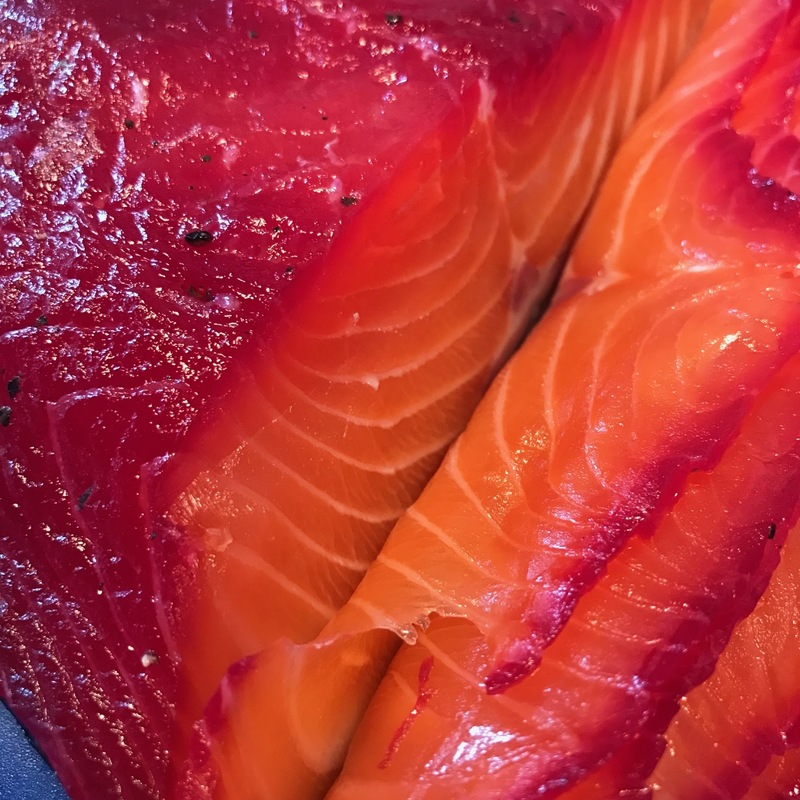 If you are using large pieces I would cure it for about 5 days, turning both the pieces of salmon over daily; smaller pieces will be ready in 3 days. When it is ready take it out and brush off the mix, much of which will have turned to liquid and rinse under cold water, then dry thoroughly with paper towels. You will notice how much it has firmed up as it has cured, shedding its water and absorbing flavour. 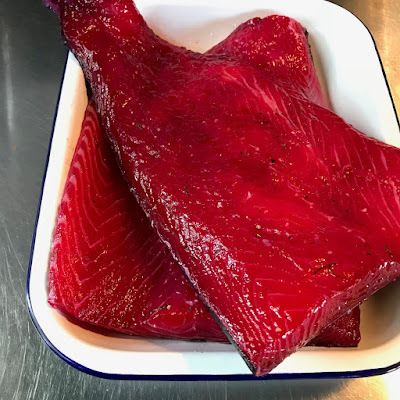 As you do this more you will learn whether you prefer the firm very cured bits at the edge or the softer lightly cured almost sashimi bits in the middle and you can cure your next piece to suit. 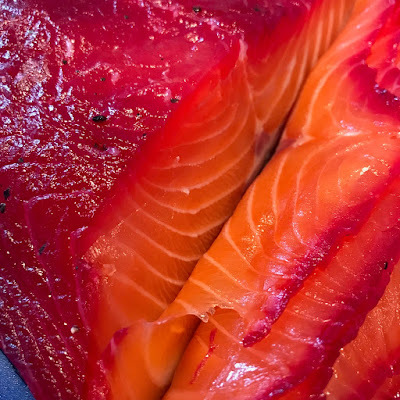 Leave the salmon attached to its skin and carve very thin slices with a very sharp knife on a slight angle. 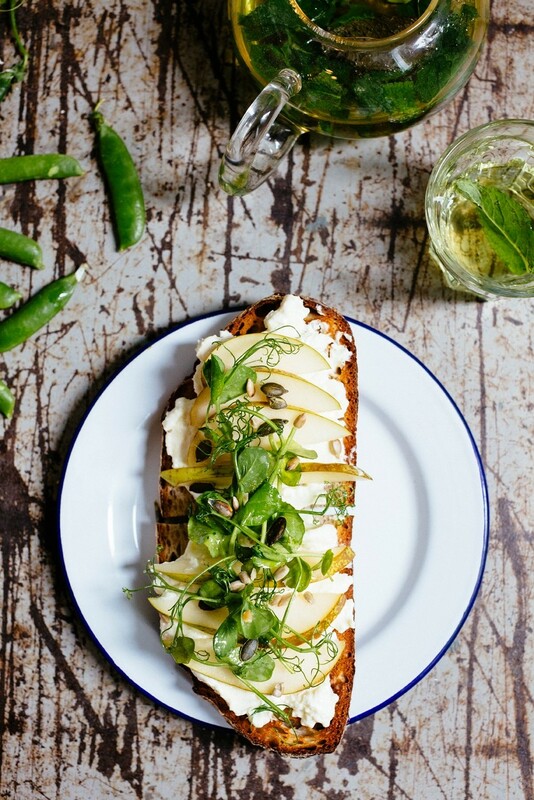 I love it with a winter salad and some brown bread and butter, I could happily eat a whole plate as canapés topped with fresh dill, and I particularly enjoy being the one carving as you get all the scraps. 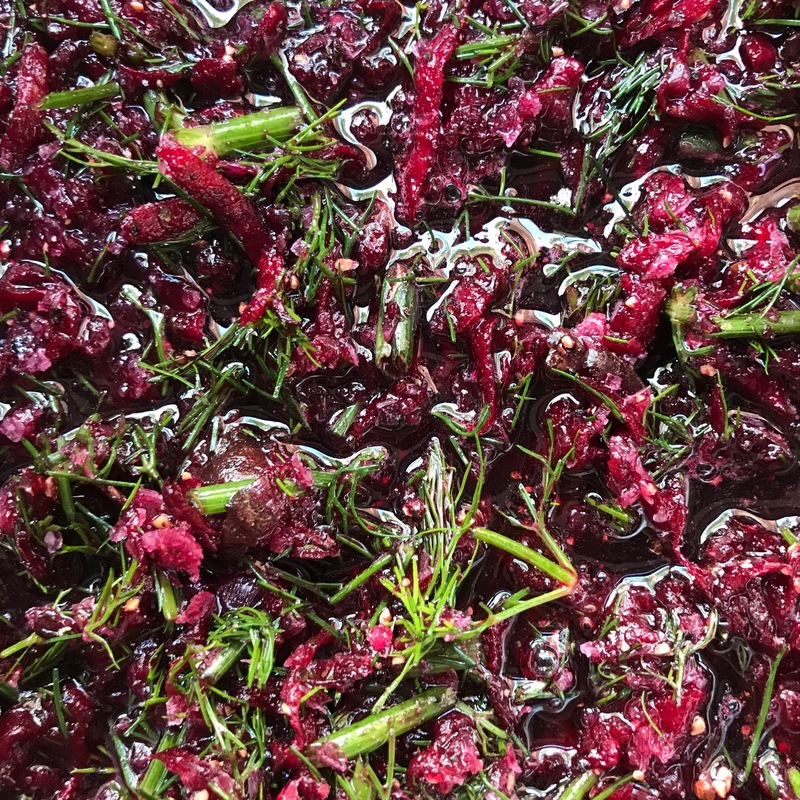 The sweet, salty flavour is delicious, oily rich fish and earthy beetroot and dill. We have a ton of apples again this year at the allotment, part of one of our trees has collapsed due to the weight of apples and our trees sag across the path blocking people's way with apples. I am pretty sure everyone at the allotment thinks we are useless, we haven't been as much as I'd like this year, but I still love it. 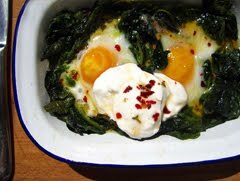 I think I've been asked for this recipe more than any other recently, pretty much everyone who has ordered it at Cook House wants to know how to make it so I thought I'd better get on with writing it up. Get your cake tin ready and lined and preheat the oven to 160˚C. Peel one large cooking apple... I'm going to have to make a lot of cakes to get through all the allotment apples! and cut it into thick slices. Melt 150g of butter in a pan on a gentle heat. Then add 225g of self raising flour to a bowl, followed by 225g of caster sugar, a teaspoon of baking powder and 3/4 teaspoon of cinnamon. Give all the dry stuff a good mix and make sure there are no clumps. Beat 2 eggs in another bowl and add a dash of almond essence, about 1/4 teaspoon. Then add the eggs and the melted butter to the dry mix and quickly bring it together using a spatula, it is almost like a batter when it is fully mixed. Add 3/4 of the mix to a lined cake tin and spread it out. It might seem like there's not much of the mixture to you, but don't worry, that's how it is meant to be. 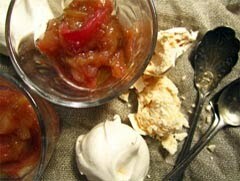 Then add a layer of apples to the top of the mix, covering the whole lot. Then add the remaining 1/4 of the mix to the middle, on top of the apples. Then quickly pop it in the oven and bake for 50 minutes. Start with the tomatoes, I used a packet of regular sized vine tomatoes. Cut them into quarters and pop them into a baking tray, add a generous splash of olive oil, a pinch of salt, a teaspoon of sugar and some black pepper, give it a good mix and then pop it in the oven at 200˚C for 30 minutes, keep an eye on them as all tomatoes differ. You want it to start to colour and most of the water to cook away, until they start to look a bit sticky and caramelised. When they are ready tip them into a little blender and wizz them up until smooth, they almost become creamy. It's my new favourite way of making a tomato sauce, especially while tomatoes are in season I much prefer this roast fresh tomato method rather than using tins. 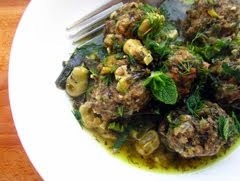 While you are waiting for the tomatoes you can start the meatballs. I used one slice of stale brown sourdough bread, crusts removed, wizzed up into a fine crumb. Put the bread crumbs into a bowl and added a splash of milk and leave them to soak. Toast a teaspoon of coriander seeds and half a teaspoon of fennel seeds in a small pan until you can smell them, then pop them into a pestle and mortar and grind until you get a rough powder. I used 400g of goat meat for 2 people, this was quite generous, and would feed 3 easily! 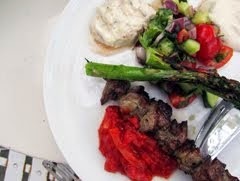 I get my goat meat from The Goat Company who trade at Jesmond Food market, on the third Saturday of the month. Get a few packs and keep it in the freezer, it really is such delicious meat. Crumble the mince into a big bowl and add the spices. Then add half a finely chopped onion, a grated clove of garlic, a big pinch of maldon sea salt, some black pepper and the bread crumbs; and mix it all together. Then form into balls and roll together in your hands, about the size of a golf ball. Put them into a baking tray with some olive oil and a thinly sliced red pepper, coating everything in oil before putting them in the oven. Bake them for 25 minutes, but give them a shake after 10 minutes. 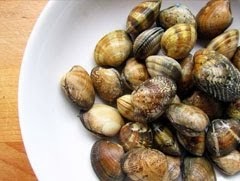 They should take on a bit of colour but you don't want them to cook for too long and dry out. While they were in the oven I cooked a sliced onion in a bit of oil and butter until golden, then added the blitzed tomato sauce into the pan to warm through. A lot of fat came out of my meatballs, which was great as they ended up so juicy, so instead of adding the sauce into the baking tray I scooped them out of the fat with the peppers and tossed them into the sauce in the pan. 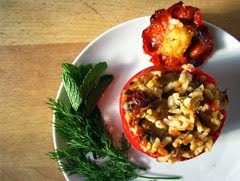 Serve with some buttery polenta and some chopped fresh sage. 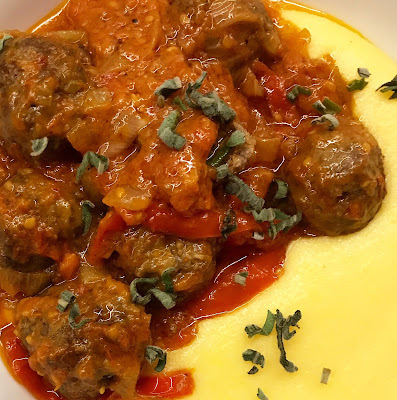 They were SO good, really juicy delicious meatballs and the sauce was lovely and rich, perfect with buttery polenta and little bursts of sage. You need approximately 25g nasturtium leaves. These are very easy to grow in a pot if you fancy, just chuck a packet of seeds in some compost early summer and they should provide you with spicy leaves and edible flowers all summer. Pick 6 mint leaves and 10 nasturtium seed pods. These look a bit like capers and have a massively spicy kick to them, when the flowers wilt you're left with a seed pod, which you can eat, or keep and plant again. You will need 25g pumpkin seeds or pinenuts, a pinch of salt, olive oil and a squeeze of lemon. Michel does things properly so set about this is a pestle and mortar, but I mostly use my little whizzer; don't tell him. Add the nasturtium leaves, mint, seed pods, pumpkin seeds, a pinch of salt and a good glug of olive oil to the whizzer and blend until smooth. You might need to add more oil, I like it so you can drizzle it off a spoon rather than a thick paste, but it's up to you. Add the lemon juice at the end to taste, just a dash should do. I had some amazing peaches arrive at Cook House a few weeks ago, the perfect sweetness and the perfect ripeness, I have been putting them on the menu at home and at events as much as possible ever since. It's a good time for these late summer fruits; apricots, nectarines, grapes too... I've been cooking, grilling, pickling, poaching and more. We held a big BBQ night at Cook House a few weeks ago and decided to do every course on the BBQ, including pudding and cheese accompaniments... When you have cooked all the meat and vegetables on your BBQ it often gets to the point that you think it's a shame that you still have such a nice fire and nothing else to cook. So I loaded the grill up with fruit! Grilled grapes are delicious with cheese I've found, just pop them on the BBQ at the end until they start to blacken and burst, let them cool a little and let people pick at them with some lovely local goats cheese. Grilled peaches are my current favourite, and can be served in a number of ways, just with a dollop of cream or here I've included two recipes; a lovely lunch dish with feta on toast, and also served as a pudding with a delicious sweet whipped cheese. Your peaches need to be ripe to start with, there is just no point in putting on a rock hard under ripe peach. This might mean buying them a good few days before you need them if they are not ripe in the shops. Run a knife round to half them and twist to free from the stone, then lever the stone out with a knife. Brush the cut side with some oil and place cut side down on the grill. I grill them for about 5 minutes on this side, don't move them around, just leave them, if your fire is particularly hot they may need less time. 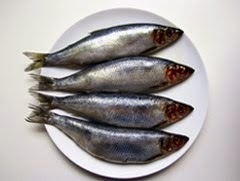 Then using a fish slice scrape them free and flip over, and leave them to grill until hot and juicy, until they look like they are starting to collapse a bit. The fire brings out all the juices and delicious sweetness. 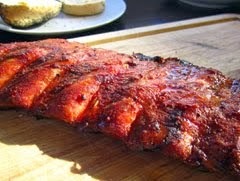 Remove from the heat when you think they are done, they can be served hot or left to cool to room temperature. Toast some sliced sour dough and drizzle with some good quality extra virgin olive oil, crumble over some feta cheese and top with the room temperature grilled peaches, some torn up mint leaves, a bit of black pepper and some more olive oil. The sweet peaches are delicious with the salty cheese and fresh mint. Whip together 150g cream cheese, 100g double cream, 150g yoghurt and 75g sugar. Whip with an electric whisk until it starts to thicken, it takes a while, then add the juice of half a lemon and whip for a few more minutes. Serve this sweet cream with warm grilled peaches, a sprinkle of toasted hazelnuts and some torn mint leaves. The sweet cheese is a bit like a cheesecake topping and is so delicious with the juicy peaces and the crunchy toasted nuts. I've been poaching the apricots and peaches, to serve with a cardamom panna cotta and also with yoghurt and granola for breakfast. I love the flavour of both and I think poaching them really brings it out, it's like that peak ripeness that you get for 5 minutes extended into something that keeps for a while. It also takes me back to those tins of fruit that my granny used to serve with ice-cream and a wafer. I always liked the peach, the bright red cherries were the best, and I staunchly avoided the gritty white bits which I guess were pear perhaps? I've been poaching them in a 1 part sugar 3 parts water syrup, it isn't overly sweet, I prefer it this way as I want to taste the fruit not a sugary sweet syrup, but if it is not sweet enough for you just increase the amount of sugar. I added 1 lemon, the juice squeezed in and the squeezed halves added in too, 6 or 7 slices of fresh ginger and 2 bashed pods of cardamom. Simmer this for 5 minutes, then add the peaches. I used 6 large peaches cut into quarters with the stones removed. Simmer the peaches gently for between 5 and 10 minutes, until soft. It will depend on how ripe they are to start, it's better to be a bit under cooked as they can fall apart when overcooked. 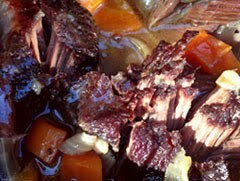 The skins will fall away as they cook, just pull them off. Cool them in the syrup and keep them in the fridge. They are delicious with yoghurt for breakfast, or with a bit of thick cream for pudding. I've been serving them on top of a cardamom panna cotta too which is bloody lovely! The Elderflowers are out everywhere at the moment, it seems to be a bumper year as I've spotted their big white blousey flowers waving at me everywhere I go. I have a good spot near Cook House that I pass when I walk down in the mornings so I filled a bag as soon as they appeared. 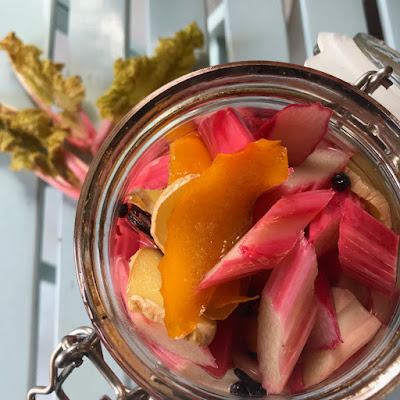 I've made batches and batches of Elderflower cordial in the past, but wanted to do something a bit more interesting with them this year, and something that I could add to the preserving shelves and use all year round. I'll have to think of something else to do with them too as there are just so many it seems rude not to. I gave the flower heads a gentle shake to get rid of the tiny black bugs that love them so. Some of these will no doubt get in to the vinegar, but you can strain it through a cloth before you use it and it'll be fine. I went for the most straight forward approach for this vinegar, no heating or additional flavours. Simply fill a jar with flower heads and pour over good quality white wine vinegar. That's it. Give it a bit of a shake to get rid of any air pockets and then leave. I've been giving it a bit of a swirl everyday and after a week the smell was delicious, really powerful Elderflower, stronger than the vinegar. Sometimes it can smell a bit sickly sweet for me so it works well in vinegar which balances it out. 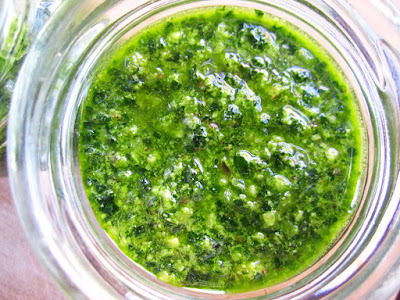 It is great in salad dressings, drinks or a spritz over BBQ'd meat or fish in place of lemon. This website and its content is copyright of The Grazer - © Anna Hedworth 2011 - 2017. All rights reserved.